The Tobacco Free Partnership of Dixie County is a coalition of community members actively working to change the perception among local youth that tobacco use is a normal activity. The group consists of a wide array of adults from both the public and private sector, local youth leaders, and members of the general public. The Partnership conducts its business under a set of bylaws updated at the start of each fiscal year. The Partnership Facilitator is Melanie Anderson, the Tobacco Prevention Specialist for Dixie County. 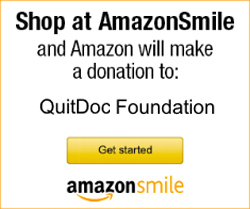 Questions regarding the Partnership can be directed to her at MAnderson@QuitDoc.com. 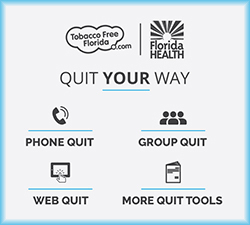 The work of the Partnership is supported by a Community-Based Tobacco Prevention Grant through the Florida Department of Health Bureau of Tobacco Prevention Programs. The Tobacco Free Partnership of Dixie County coordinates tobacco prevention efforts throughout Dixie County. The primary goal of the group is to create local tobacco-free policies. "The mission of the Tobacco Free Partnership of Dixie County is to mobilize community partners to establish long-lasting system and policy changes that promote tobacco-free social norms in order to prevent usage of tobacco products by youth/young adults, encourage and support tobacco cessation, eliminate the hazards of secondhand smoke, and decrease the number of deaths due to tobacco products."